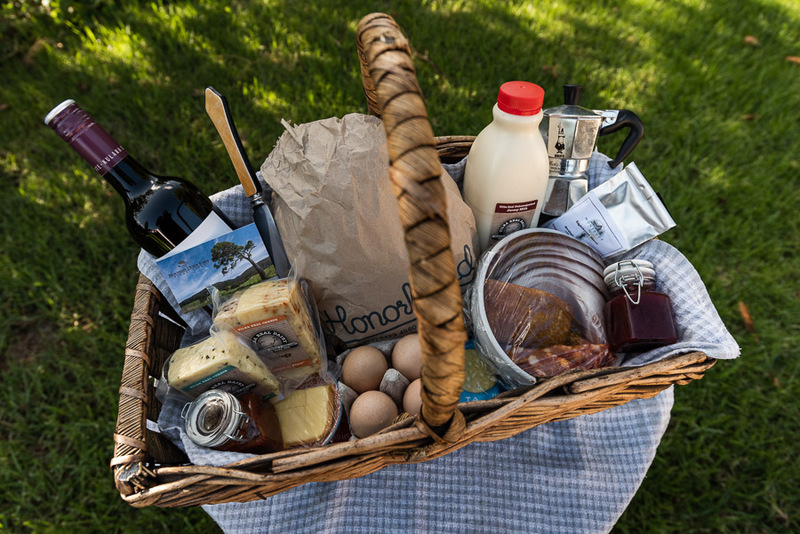 We can provide tailored brunch baskets incorporating wonderful local foods such as locally cured bacon, Mountain View eggs, fresh local sourdough, Tilba cheese/milk/yoghurt, Mountain View lemon butter/tomato relish/jam, locally roasted coffee, fresh-as-they-come Wagonga oysters and champagne. Helpful for short stays, a bonus for quiet stays, a delight for a treat! Just ask for the options and pricing! Can be added with a day’s notice. If oysters are your thing then the south coast is the place! Here at Tilba we are surrounded by pristine waters for oyster growing. We can source fresh, unopened oysters and open them to order. You can't get fresher than that! Please enquire and enjoy them while you are relaxing taking in the view.